Professor of history at Portland State University in Portland, Oregon. Currently interested in histories of forced migration, the construction of refugee and asylum policies, and decolonization and mass violence. 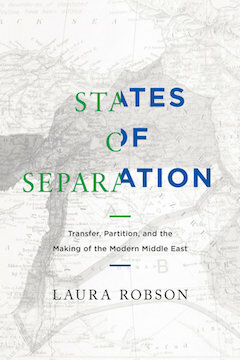 Most recent books are States of Separation: Transfer, Partition, and the Making of the Modern Middle East (University of California Press, 2017) and the edited volume Partitions: A Transnational History of 20th Century Territorial Separatism (with Arie Dubnov; Stanford University Press, 2019). The first collective history of the concept of partition, tracing its emergence in the aftermath of the First World War and locating its genealogy in the politics of twentieth-century empire and decolonization. Placing the histories of Iraq, Palestine, and Syria within a global context of emerging state systems intent on creating new forms of international authority, States of Separation sheds new light on the emergence of ethnic separatism in the modern Middle East. The first volume to upend the conceptual frame of reference for studying Middle Eastern minority communities in nearly two decades, Minorities and the Modern Arab World represents a major intervention in modern Middle East studies. Drawing on a rich base of British archival materials, Arabic periodicals, and secondary sources, Colonialism and Christianity in Mandate Palestine brings to light the ways in which the British colonial state in Palestine exacerbated sectarianism.